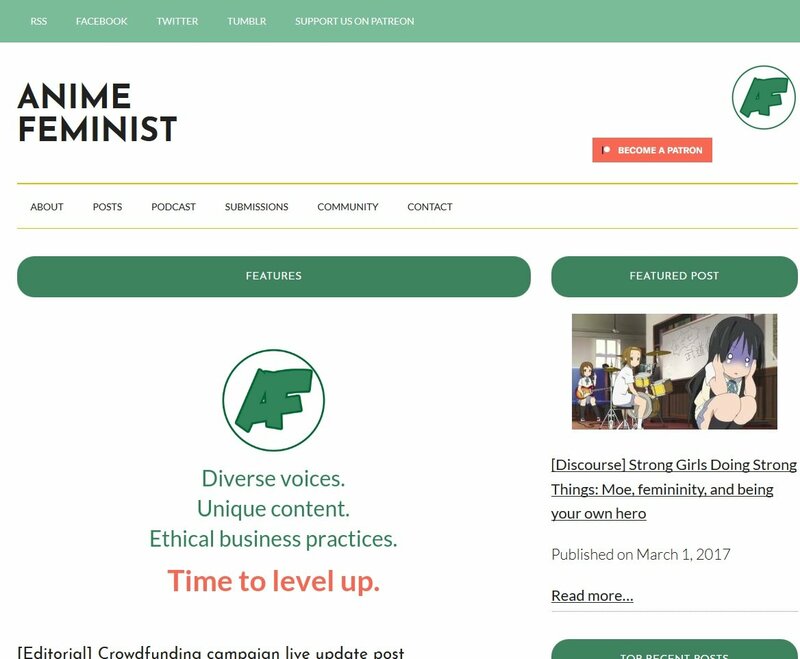 Anime Feminist has successfully reached its primary crowdfunding target to improve their website and make their content more accessible, within two days of the campaign launching. The site, which describes itself as a “platform for analysis of Japanese pop culture through a feminist lens”, launched a campaign on Saturday to raise US$19,900 (just over £15,000). This money will be used to cover the costs of overhauling the website, pay for transcriptions of their Chatty AF podcast, and to cover the costs of running the campaign itself. Anime Feminist has managed to reach this target in just 38 hours, and met its first stretch goal two hours later. Passing their first stretch goal at $20,500 means that they are now able to create recommendations pages for general feminist-friendly series, positive LGBTQ+ representation, and series that are good for children and teenagers. There are still at least two more stretch goals yet to be met: At $22,500, they plan to create a straightforward review database, and at $25,000 they intend to use the money to integrate an online shop to the website, brand it with the rest of their online presence, and design their first range of merchandise. If they raise more than needed for their stretch goals, their other plans include experiments into offering new streams of content, behind-the-scenes projects to make the website more efficient, and research into bigger ideas. The campaign does not end until 08.00 UTC on 29th December, so there is still plenty of time to donate. Perks on offer to donors include postcards, stickers, a zine, a tote bag and T-shirt. If you’re interested, you can donate to the campaign here.